-An enhance heart rate app. With two new heart rate features that will include “Resting up rate” and “recovery heart rate”; in which will focus on your hearts rhythm. -Daily inspiration and Monthly Challenge features to motivate you with workouts. -More music, the new iOS will allow 40 million songs. -New Faces: Kaleidoscope and Toy Story characters. iOS 4 will be available for download on September 19th. -Cellular built in, which means you can go anywhere with your Apple iWatch without needing to carry your phone. You can place your order as early as 9/15. -The Apple TV app is also on iPad and iPhone. -New Game “Sky” will be released on iPhone, iPad, and Apple TV. And now the huge iPhone reveal! …or iPhone’s rather. Prior to announcing the new cell phones, Tim cook went into the history of the iPhone, so that fans know exactly how the two phones came about. -You can choose from colors: Silver, Black, and a new Gold finish. -12 MP camera sensor that will be larger and faster. -Portrait Mode lighting for the iPhone 8 plus that will also allow you to pick -A lighting effect prior to taking the picture. -Augmented Reality, meaning if you hold up your camera during a live game it will show the players pictures along with information about the player. And it will also show you the planets as you hold up the phone to the sky. -No more broken cables!! the rumored Wireless Charger is real. Broken charging cables is a thing of the past. You can place your order for the new iPhone 8/iPhone 8 Plus starting September 15th and expect it in stores September 22nd. The pricing starts at $699.00 for the iPhone 8 and $799.00 for the iPhone 8 Plus. Giving you the option of either a 64GB or 256GB. Now Apple saved the best for last. 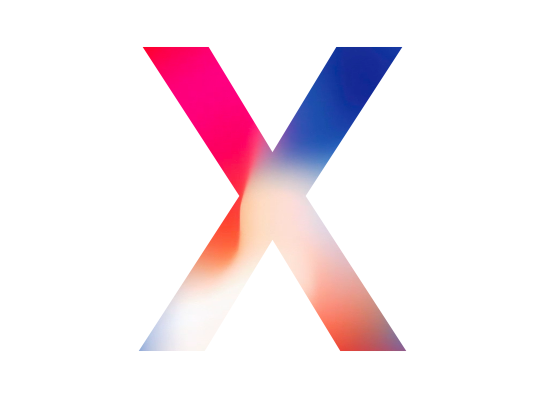 The iPhone X, calling it the future of smartphones 10 years later. -The band around the phone is stainless steel. -New Retina display called “Super Retina display”. Here’s what’s especially different. The phone no longer has a home button, so how do you wake up the screen? just by tapping on the screen. Also, you unlock the iPhone X simply by looking at it, because it will recognize your face with the new Face ID feature. Now, I know what you’re thinking, but don’t worry!! it will not unlock your phone by someone using a photo of you. In fact, not even a wax model of you will be able to unlock your phone. -Face ID will also work with certain apps that support the new feature. -Apple Pay as well will work with face ID. -Swiping up the screen will also allow you to unlock the phone. -You now access Siri by pressing the side button. -Animoji- An animated emoji. Basically, an emoji that you will be able to control with your face. You will be able to share the Animoji through iMessage. -HDR video feature which looks amazing. -Control center will now be a drop down feature. -The tracking of the Face ID will also make it easier for Snapchat filters as it immediately picks up your face for filter fun. -Truth Depth camera will allow you to take portrait mode photos. Selfies anyone? -Increased battery life that will last 2 more hours than the iPhone 7. Air Power- A cool wireless charging mat allowing you charge more than one Apple product at the same time. available next year. You can Pre-order the iPhone X starting at $999.00 on October 27th and have it in your hands on November 3rd.